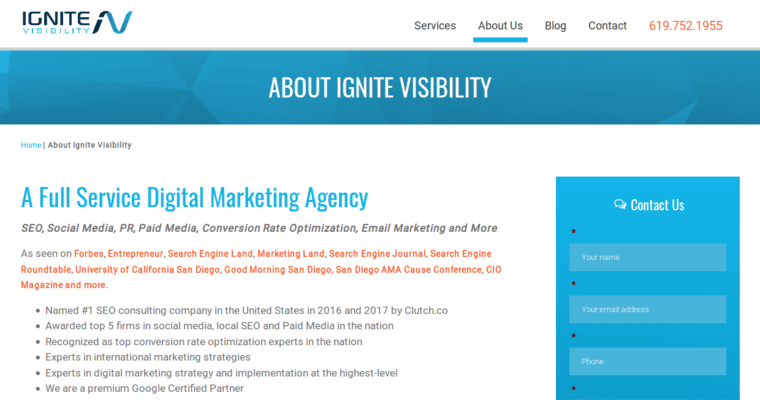 Currently serving over 100 clients, Ignite Visibility is an SEO agency that delivers results. When serving those businesses that depend on their immediate locality for customers, they are particularly adept at local SEO. Located in San Diego, they have helped businesses around the nation get found in local search results above their competitors up the street and across town. They utilize a combination of strategies including creating a Google Places listing for your business as well as optimizing and verifying this and other local listings. They'll also build links and citations between your company's website and others in your area. 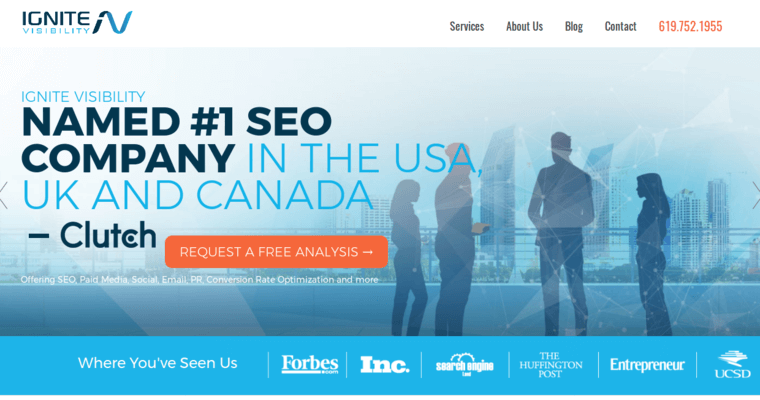 This award-winning local SEO agency will perform a free analysis for new prospective clients, so they can show you what they can do to get you above the competition in your local community or across the nation and beyond. 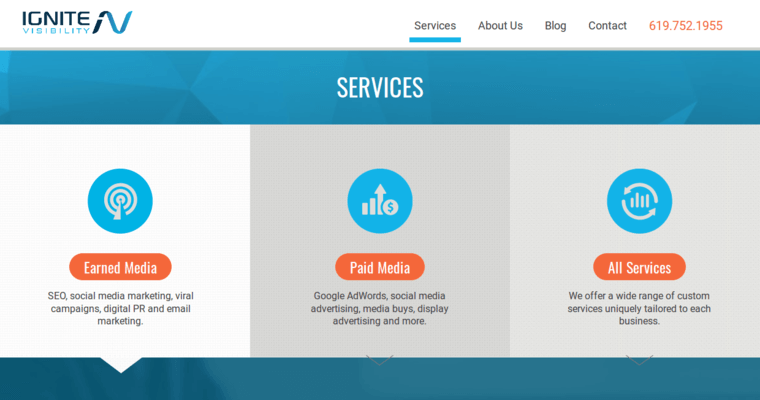 Ignite Visibility also offers paid search, social media and email marketing services.